Originally from Grenada, Mississippi, Dr. Lea earned her Doctor of Osteopathy at Kansas City University of Medicine and Biosciences in Kansas City, Missouri, and completed her residency training in internal medicine at Des Peres Hospital in Saint Louis, Missouri. Dr. Lea is board certified in internal medicine and hospice and palliative medicine, and she is a Certified Medical Examiner as well. She is a member of the American Osteopathic Association and the American College of Osteopathic Internists. 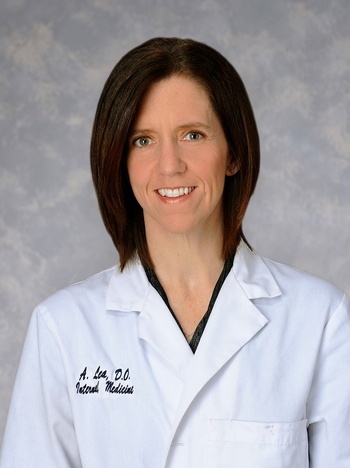 Dr. Lea resides in Zachary, Louisiana, with her husband, Joshua, and their children Madison, Nash and Sadie Kate. In her free time she enjoys running and spending time with her family.